One of the hardest things about finishing a great book is saying goodbye to characters I’ve come to know and love. When I heard that Kristen Harnisch was releasing a follow-up to her fantastic debut, The Vintner’s Daughter, I was thrilled. After reading its sequel, The California Wife, cover-to-cover on a 5 a.m. flight when I promised I’d let myself sleep, I can safely say that it did not disappoint. The California Wife continues the saga of Sara and Philippe Lemieux, newlyweds determined to make their Napa vineyard the premier winemaking operation in America. As the new Mr. and Mrs. Lemieux enter the 20th century, their marriage and business are tested at every turn. Facing obstacles ranging from the threat of prohibition and price wars to secrets in their marriage and the complexities of parenthood, Sara and Philippe’s relationship grows and changes along with the times. It is a tale that is at once engaging, addictive, unpredictable, and edge-of-your-seat readable. Full disclosure: I know nothing whatsoever about wine. I don’t even drink wine, but every page of Sara and Philippe’s journey through vineyard life and winemaking gripped me thanks to Kristen Harnisch’s well-drawn characters and impeccably-researched prose. I fell hard and fast for not just Sara and Philippe, but the colorful cast of family and friends intricately entangled in their lives. I loved diving deeper into some of the secondary characters first introduced in The Vintner’s Daughter and I was also deeply invested in the new residents in Harnisch’s world. The California Wife stands firmly on its own with plot twists and turns that will have you promising yourself just one more chapter (and then another, and another). If you haven’t read The Vintner’s Daughter, you’ll still appreciate its sequel, but reading both will give you a broader landscape of these characters and their rich history and will leave you wanting more. If you’re interested in prohibition history, early 20th century America, or vineyard culture, this book is not to be missed. 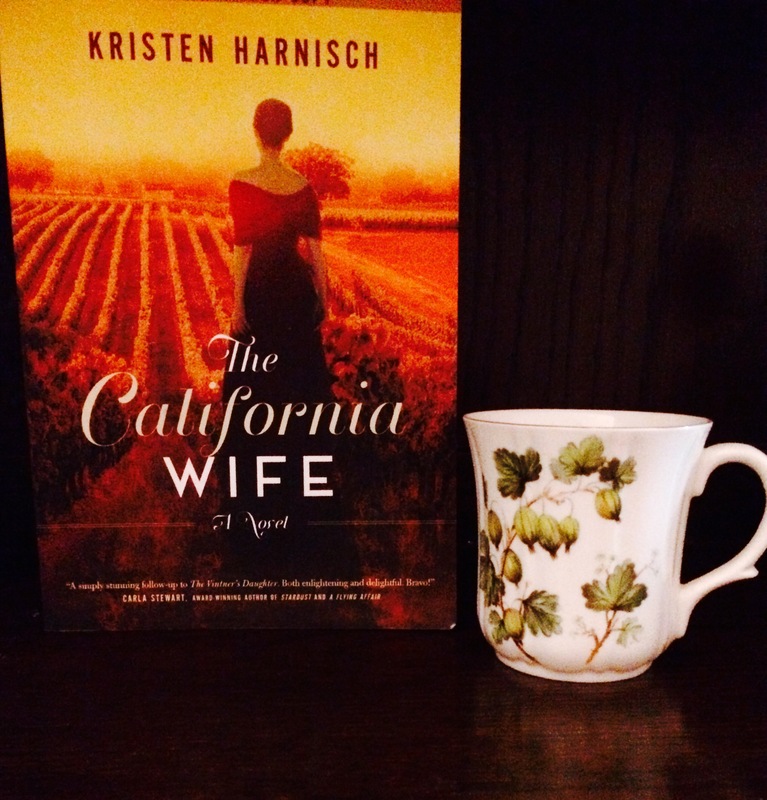 And if you just love great storytelling with compelling characters, be sure to add The California Wife to your summer list and savor it like a good sauvignon blanc wine. For more on Kristen Harnisch and the Lemieux family saga, visit kristenharnisch.com and connect with her on Facebook and Twitter!